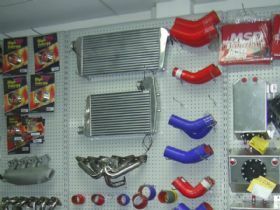 At Outlaw Speed Shop we provide sales, service and technical support for customers Australia wide who are in the market for high performance automotive equipment and engine builds. 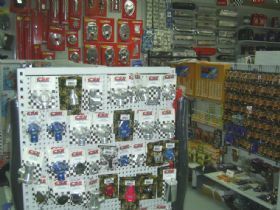 For the last thirty years we have been involved in the high performance side of the automotive industry and gained a lot of experience in both wholesale and retail operations during that time. With a passion for performance, an opportunity arose twenty years ago to acquire this business. We could see that with the right combination of parts, service and knowledge we would be able to better serve the performance customers in Adelaide. It didnt take long before word had spread and we were receiving enquiries from Australia wide and over the years we have built up a national clientle. 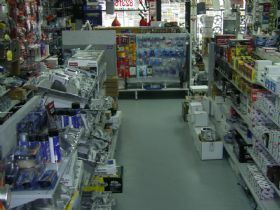 A few years ago history repeated itself and we acquired another store located at 281 Main North Road, Enfield SA. We have a staff of thirteen including full time, part time, administration and technical personnel. There are nine staff across the two stores who deal with customers face to face, on the phone or via email. So what makes us unique in the Performance market? 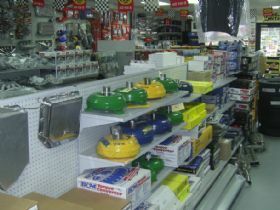 Firstly, we carry a huge range of stock and invest in increasing our inventory levels each month. We deal directly with many suppliers in the USA and this enables us to provide a fast delivery service on a huge range of products, that are sold through our two stores and supported by our central warehouse. We believe it is important that customers can see it, touch it, purchase it and that they feel comfortable with our one stop shop approach. We have everything you will want in one go. Our staff are a great asset and everyone you encounter is a car guy and all have been chosen for their technical understanding and ability to communicate it. With well over one hundred and fifty combined years of experience, chances are, whatever you are looking at doing, we will be able to offer advice based on our knowledge gained from our experience. 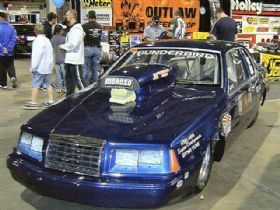 On staff we have an ex Australian drag racing champion, engine builders and tuners and people focused on turbo, fuel injection and super charging applications. Skills cover drift racing, drag racing, off road performance applications, dyno tuning knowledge and we also have a network of trusted associates that we recommend to customers, based on their specific needs. We are a preferred performance parts supplier to the many members of the Capricorn Society in Australia, which has around six thousand members. If you think of the entire gamut of performance offerings we can supply it from crate engines to custom fabricated differentials and all parts in between. 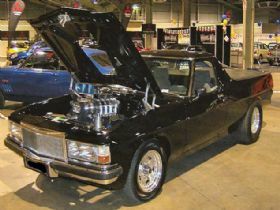 We provide a lot of performance engine parts and crate engines, including small and big block Chev, Ford, Holden, Chrysler also Nissan and Toyota and other Import cars. We specialise in cylinder heads, performance blocks, stroker kits, ACL engine parts and provide race transmissions and diffs. 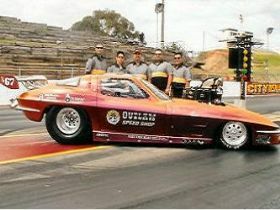 We sponsor a range of performance pursuits including the SA country drag strips Tri Series, race cars, drag cars and we are members of the Dry Lake Racers Association, that oversees the salt flat racing scene. 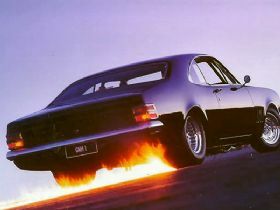 Staff rides include a Monaro, XA Falcon GT a highly modified FB Holden panel van, and a hot 64 Galaxie. 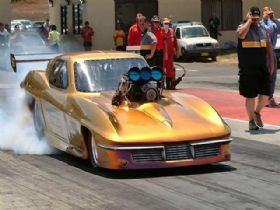 When the local track was open, staff have put down good times in Camaro, Statesman and Monaros and we are eagerly awaiting the Adelaide strip reopening touted for early 2009. If you are in the market for performance products, racing engines, quality speed equipment or custom built components come and see us or give us a call and we will gladly help with your performance needs. 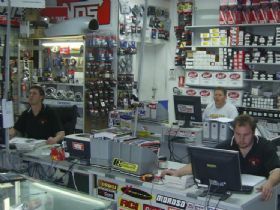 The Outlaw Speed Shop at Enfield can be contacted on 08 8344 8330 or you can drop by 281 Main North Road, Enfield SA for professional advice and service. The Enfield store is open from 8.30 to 5.30 Monday to Wednesday and Friday, also 8.30 to 7.00pm on Thursday and 9.00 through 2.00pm on Saturday. 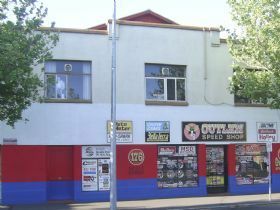 The Outlaw Speed Shop at 176 Grote Street, Adelaide is open from 8.30 to 5.30 Monday to Thursday, 8.30 to 7.00pm on Friday and 9.00 through 2.00pm on Saturday. We look forward to assisting you with your performance needs.